Use your social profile to sign in faster. The World Series of Poker got underway this week and the online action predictably slowed, with even the most active players (Tom Dwan, “DIN_FRU” and “Zugwat”) logging under 3,000 hands apiece over the course of the last seven days. Returning to the swing of things were David Benyamine and Phil Galfond, the latter of whom returned to the virtual tables after a healthy break from grinding it out. Both players posted impressive wins in their downtime between tournaments at the Rio, much of it at lower stakes than the $500/1,000 games they had been frequenting earlier in the year. David “MR B 2 U SON” Benyamine had quite the weekend at the PLO tables, raking in over $487,000 on Saturday night and another $184,000 on Sunday evening for a two-day total profit of $671,000. Benyamine played both $200/400 and $300/600/$100 ante 6-max, his opponents including Phil Ivey, “luckexpress10,” Brian “tsarrast” Rast, “Bomberman,” Di “Urindanger” Dang, Markus Golsen and Jani “KObyTAPOUT” Vilmunen. One particularly tasty pot developed while Benyamine was playing three-handed $300/600/100 with Ivey and Bomberman. Ivey opened for $1,800 from the button, Benyamine called, and Bomberman put the squeeze on with a reraise to $7,500. Both Ivey and Benyamine called, the flop coming down . Benyamine checked, Bomberman bet $16,200, Ivey gave up his hand, and Benyamine came in with a raise to $38,400. Bomberman responded with a shove for his remaining $95,598 and Benyamine called, turning up for the nut boat while Bomberman revealed for trips. The turn was the , the river was the and Benyamine took down the $214,000 pot. In preparation for the WSOP, Phil Galfond took a self-imposed three-week hiatus from the online games, but returned to action in the last few days. On Sunday evening he played heads-up $500/1,000 PLO against Gus Hansen on the “Hansen Knockout” and “Hansen Suckout” tables, finishing $283,000 to the good after 340 hands. Galfond won six of the ten $100,000-plus pots that developed, including the session’s largest, clocking in at $172,000. In the aforementioned monsterpotten, Hansen opened for $3,000, Galfond three-bet to $9,000 and Hansen called. Galfond led out for $13,200 on the flop and after a bit of a think, Hansen raised to $57,600. Galfond shipped in the rest of his stack, $99,186 in total, and Hansen called all in for his remaining $19,398. Hansen flopped top two pair with while Galfond had a wrap draw and a flush draw holding . The on the turn made Galfond a queen-high straight and Hansen couldn’t fill up on the river, the falling to clinch the hand for Galfond. Galfond also logged some sessions at lower stakes this week, pulling in a $49,000 win on Monday afternoon in a $50/100/$15 ante 6-max PLO game that was populated with the likes of Niki Jedlika, “DIN_FRU,” Brian Townsend, and Brian “tsarrast” Rast. The game continued to run the next day and Galfond booked another win, taking in nearly $60,000. For Tom Dwan, four tables simply aren’t enough. While playing a “durrrr Challenge” session against Patrik Antonius (four tables of $200/400 heads-up PLO), Dwan decided to also play heads-up at the $500/1,000 against Phil Ivey on the “Ivey Thunderdome” and “durrrr” tables While playing the challenge, Dwan managed to drop over $600,000 to Ivey, but after Antonius quit for the night, Dwan and Ivey continued to battle for an additional hour and forty minutes. Dwan erased a good chunk of his losses, as Ivey finishing with a $275,000 profit after 766 hands. In one major confrontation, Dwan led off the action with a $3,000 raise from the button and Phil Ivey called. Ivey led out for $4,000 on the flop, Dwan raised to 13,200, Ivey re-potted to 45,600 and Dwan flat-called. The fell on the turn and Ivey moved all in for the $67,898 he had behind. Dwan made the call, revealing for aces up and the nut flush redraw, while Ivey held for eights and sixes along with an open-ended straight draw. Ivey made his straight on the river, but the that fell also made Dwan the nut flush, and he raked in the $234,000 pot. Ivey, however, would hit a sweet turn card against Dwan later on for this $160,000 pot. Ivey called Dwan’s $3,000 opening raise and they saw a flop. Ivey led out for $4,000, Dwan potted to 13,200, Ivey re-potted to $45,600, Dwan moved all in for $152,255 and Ivey called. It was top two pair for Ivey with while Dwan held for straight and flush draws. The on the turn, however made Ivey eights full and once the on the river sealed the hand, he dragged the $160,000 pot. Over the course of four sessions this week, “DIN_FRU” managed to take nearly $400,000 off of Matt Hawrilenko playing $500/1,000 and $1,000/2,000 heads-up limit hold’em Regarded as one of the premier heads-up and short-handed limit hold’em players in the world, Hawrilenko decided to quit DIN_FRU permanently after the fourth session, where he dropped $60,000 in the course of 25 minutes. 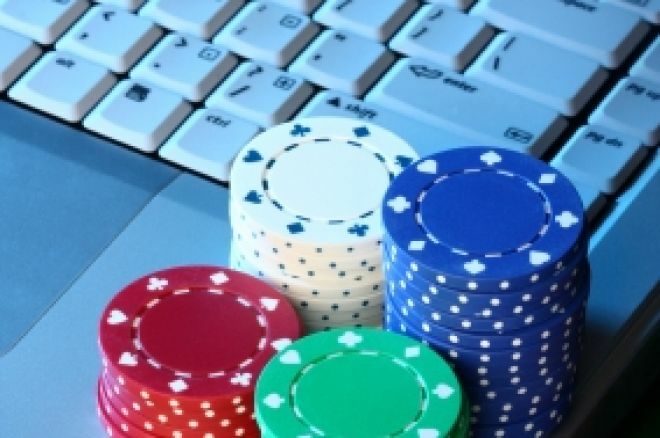 The biggest brand in poker has an online social poker room that it invites you to play at. Will Poker Players Miss the Rio All-Suite Hotel & Casino When It's Gone? Professional Sports Gambler James Holzhauer's Aggressive Style Paying Off on Jeopardy! PokerNews.com is the world's leading poker website. Among other things, visitors will find a daily dose of articles with the latest poker news, live reporting from tournaments, exclusive videos, podcasts and so much more.